Behind Vertigo, Marnie might be my favorite movie of all time. And so, when Tony Lee Moral published Hitchcock and the Making of Marnie back in 2002, I rushed out, snapped up a copy and promptly began wearing it out with excessive reading. I’ve just finished his new edition, updated with four additional chapters. Oh, let the geekery begin! “A Woman’s Voice” – A discussion of novelist Winston Graham and screenwriter Jay Presson Allen’s contribution to the screenplay. “Mary Rose” – The story behind the development of one of Hitch’s most personal projects, which unfortunately never received a green light. 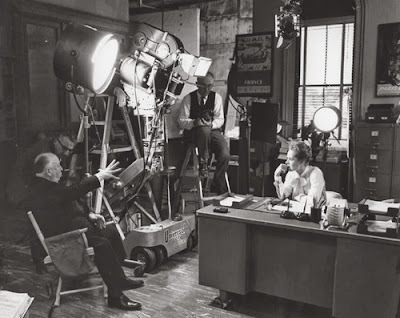 “Through the Lens” – This chapter discusses the intensely subjective approach Hitchcock and his longtime collaborator, cinematographer Robert Burks, brought to Marnie. “Hitchcock Remembered” – Who was Alfred Hitchcock? Moral collects the memories of several cast and crew members who worked on his films during this period to help answer that question. Marnie is Hitchcock’s most maligned film; some even insist that it’s a grandiose failure. Andrew Sarris pronounced it “a failure by any standard except the most esoteric.” But it’s also received some of filmdom’s most lavish praise. Robin Wood went so far as to declare it “one of the four or five most beautiful films the cinema has yet given us.” Well, which is it? Disaster or masterpiece? Tony Lee Moral makes a 267-page case for the latter. I’m with him—with reservations. Marnie, a complicated film about a complicated thief and the complicated man who falls in love with her has a likewise complicated making-of story. It took some three years and a parade of as many writers just to bring forth a workable screenplay. In one of Hollywood’s greatest what-could-have-been episodes, the lead was first assigned to Grace Kelly, who subsequently backed out of the project. And then there was the film’s nearly end-to-end rejection of cinematic realism and—a first for Hitch—an awkward eruption of hostilities between the director and one of his stars. It’s to these latter aspects of the film’s story, along with more recent attention it’s received, that Moral shows special interest. The high angle scene is indeed weird and unsettling, and Hitch’s comments above show that if you want to understand his rationale for any of his cinematographic choices, look no further than your gut. Moral devotes considerable energy to an assessment of Hitch’s special effects. Marnie is replete with numerous filmmaking tricks including rear projection, matte process and painted backdrops. These scenes are distractingly artificial, and this, primarily, is what has led critics at the time—and still many today—to dismiss the film as second-rate Hitchcock. These apparent flaws, it is generally believed, crept in as a consequence of Hitch’s lack of diligent attention to the details of his craft—a lackadaisical attitude, so they believe, that stemmed from his falling-out with Hedren. The prevailing belief is that Hitch went into Marnie hoping to make a masterpiece but that after the two fought, he lost all interest in the film. Tabloid biographer Donald Spoto went so far as to tell the London Times that after Marnie, Hitch “lost all interest in his women, his actors, his stories—indeed, in movies.” Others disagree, arguing that these seeming flaws were part of the movie’s overall design. Moral aims to settle the question once and for all, promising to “unequivocally argue that the techniques employed were intentional and that Marnie, as an art film, is the culmination of Hitchcock’s concept of ‘pure cinema,’ … part of a larger campaign by Hitchcock to be taken seriously as an artist.” Citing intensive research from the Hitchcock archives at the famed Margaret Herrick Library in Beverly Hills, he reconstructs a clear narrative of the use of special effects in this movie from development on, including Hitch’s own at times contradictory remarks after the fact. Hitch wanted these studio-made scenes to look more real than they did and they tried two other processes that promised—and failed—to live up to the promise that they would provide a more natural, convincing effect. Rear projection was a last resort. Some commentators have argued that the resulting “f-f-falsity,” to quote Norman Bates, of the scene was intentional. But Moral debunks that as wishful thinking. For me, these expressionist gambits works—to a point. Among all his films, with the possible exception of Vertigo, Marnie is the one film that lingers in my consciousness for days after viewing it. This, I believe, is due to Hitch’s strict adherence to the principles of pure film that he’d been cultivating for decades: a combination of visuals, editing, soundtrack and Bernard Herrmann’s score all serving one objective: to move his audience emotionally. Nevertheless, during the experience of the film, the special effects are jarringly unsatisfactory. Hitchcock often complained tongue-in-cheek that he’d rather not shoot his films at all, because the realities of filmmaking inevitably led to compromises with the screenplay that he’d spent months or even years perfecting. With Marnie, the special effects are among the most controversial, and despite Moral’s research, I still find it hard to draw a clear line between Hitch’s intentions and the final results. 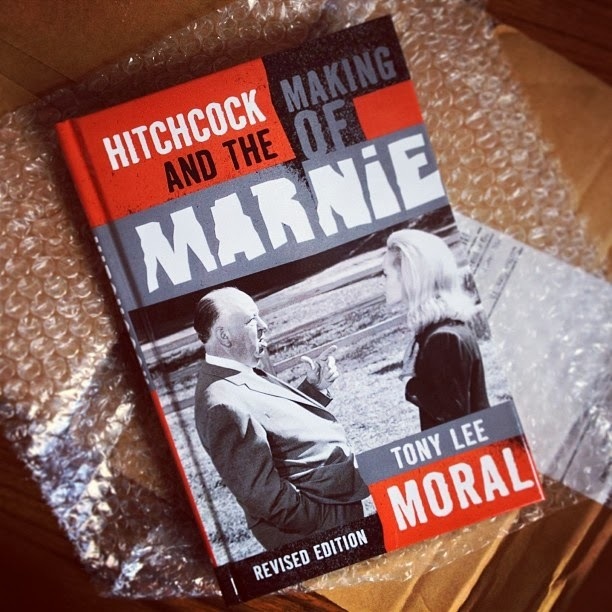 While I agree with Moral that Marnie was Hitch’s bid to be taken more seriously by highbrow critics, and that his use of effects may indeed have been intentional, the effect they had on his audience was definitely not what he intended. Hitchcock was going for respect, not jeers. Hedren's recent, self-contradictory behavior seems like a last ditch grab for publicity—at the expense of her former mentor. Since the making of The Girl, Tony Lee Moral has waged a fierce online battle to expose the distortions made by Hedren and defend the memory of Hitchcock. Guest writer Elisabeth Karlin and I have also taken up the standard. You can also read all about Hedren's terrifyingly bizarre (and hypocritical) behavior with regard to her Shambala Preserve in my article on that phase in her life: Part One and Part Two. As he did with almost every film he made. See also: the long take experiments of Rope and Under Capricorn and Frenzy; the dizzying staircase effects in Vertigo; the elaborate set for Rear Window, which proved to be difficult to light and achieve proper depth of field, etc. One example: the Steadicam, which afforded image stability in a hand-held camera, wasn’t invented until 1975. I would have loved to see Hitch, whose work at times begged for its invention, explore its possibilities, but time ran out for the director. Still, his sinuous long-take techniques laid the ground for the next generation to explore this technology’s potential. Fascinating stuff. I immediately wanted to buy the book, but it seems to be priced extremely high for some reason. New copies are $76, used for $67. Any idea what that's about?? I agree. I love Marnie but it isn't without flaws, and I can understand why people WOULDN'T like it. Personally, though, I think it's fascinating and an example of pure film-making. If it had had a better score and been shot on-location, I think it would have been immediately counted as one of Hitch's best films. This and your other articles ,Joel, have gone a long way to to reshaping the way I saw "Marnie" previously in the Hitchcock canon. The Hedren-Spoto recounting of events seems to be more controversial than I first accepted when I read the latter's "The Dark Side of Genius". It seems, as in Hitchcock best work, there is always more to the story. ALL of the testimony needs to be told and it sounds like Mr Morel, yourself and others has done just that. This essay and others have gone a long way in re-evaluating "Marnie" as a film. The story behind Hitchcock's working relationships with Hedren is not uncontested, despite his no longer being to answer for himself on personal matters. It seems, like Hitchcock's best work, there is perhaps more to be fathomed than many of us simply accepted.